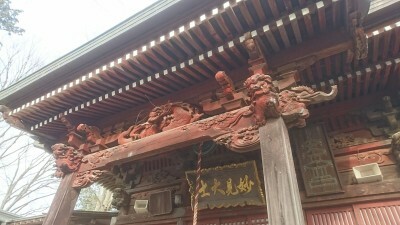 A close-up of the MYOKEN WORSHIP HALL at the Hokuto-Ji Temple in Kurihara Tsukuba. 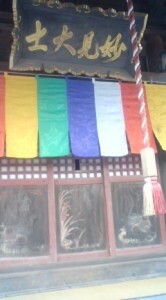 These five colors are associated with the Shingon Sect of Buddhism, the dominant religion in the Tsukuba area. By Avi Landau The ancients found significance in just about everything they saw in the world around them. But in the quest for gaining an understanding of the workings of FATE, man has probably most frequently and consistently turned his eyes to the STARS and other HEAVENLY BODIES, whose positions and movements were often believed to be closely linked with what happened down here on terra firma. As certain civilizations became more developed, they were able to amass extremely detailed data which led to the creation of sophisticated systems of astrology (which I guess could be said to be the foundation of modern astronomy). 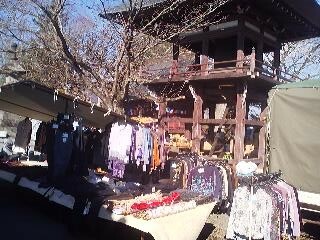 Another shot of the entrance to the Myoken Hall at Hokuto-Ji. 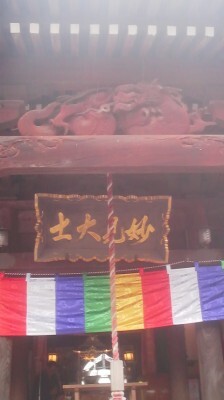 The colorful banner is representative of the Shingon Sect and the carved dragon above protects (it is believed) the wooden structure from fire. 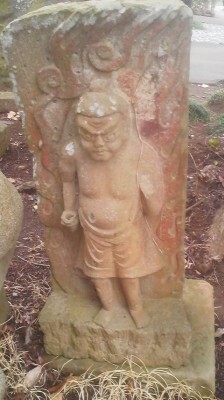 The main object of worship at the Hokuto-ji Temple in Kurihara – a statue of Myoken-sama, the deification of the northern star. He can be recognized by the fact that he is standing on a tortoise! India and China were two such civilizations. Their complicated beliefs connected with the stars　(some scholars believe these originated back in ancient Babylonia), were introduced to Japan along with Buddhism- especially the Esoteric Type (密教, Mikkyo)- of the Tendai (天台宗) and Shingon (真言宗) Sects. 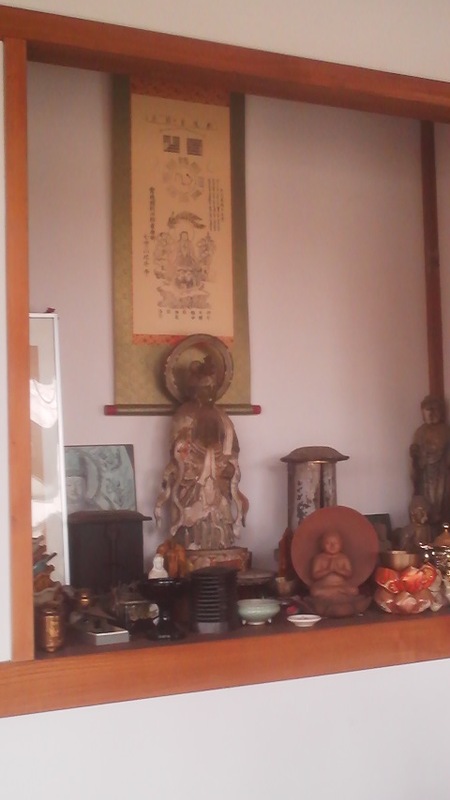 And since the Shingon Sect of Buddhism has long predominated in many of the hamlets which are now part of Tsukuba City, it is only natural that certain ceremonies related to star worship should still exist around here. 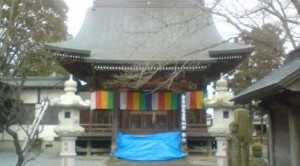 Many DO find it surprising, however, to hear that the Hokuto-Ji Temple (北斗寺),　in the rustic (and rusting) hamlet of KURIHARA (栗原), is the most important of Japan`s three great temples dedicated to the Pole Star and the Seven Stars of the Big Dipper(三大北斗)- in the form of the Deity MYOKEN-BOSATSU (妙見菩薩). 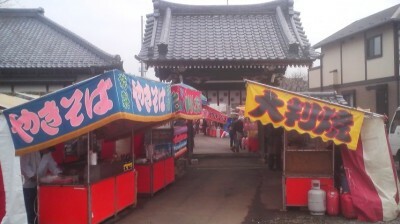 In fact, when this temple, usually referred to by the locals as MYOKEN-SAMA, holds its STAR FESTIVAL (hoshi matsuri,星祭) on the seventh day of the first month according to the lunar calendar each year ( this year this falls on Wednesday February 11, 2019) devotees come from far and wide. It is not difficult to imagine why the polar star , and the nearby constellation of the Big Dipper, would have gained such a prominent role in religions in which astrology was important. These are the MOST CONSTANT of the heavenly bodies, and to the long term observer on Earth, it would seem as if everything else in the sky was moving around them. For this reason they could even be seen as symbols of the Emperor himself (whether Chinese, or Japanese), around whom their respective societies were supposed to revolve. These stars were also crucial for navigation, and the Japanese priests who safely made the journey to and back from China must have felt they owed a debt of honor to them. 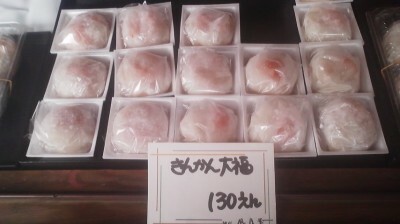 Sweet and sour- these dumplings contain a surprising filling- one whole stewed kumquat! Praying to, or making offerings to the Pole Star were believed to be efficacious in keeping peace in the realm and in preventing disasters. 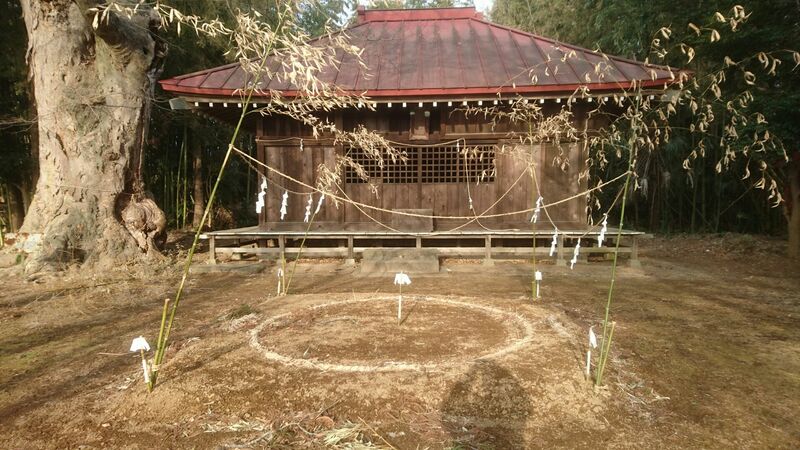 During the Heian Period ceremonies related to the Pole Star were held for such puposes at certain major temples (ie. 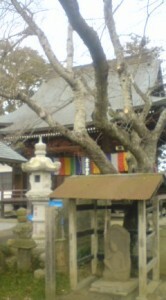 Mii-Dera, 三井寺 and　Onjoji, 園城寺). The Imperial Court also held similar rites focusing on Myoken in the Hokutosai (北斗際) which was carried out by Yin-Yang diviners (Omyoshi). In the year 1153, the Retired Emperor Toba prayed to Myoken for relief from an eye ailment ( Myoken literally means Divine sight). 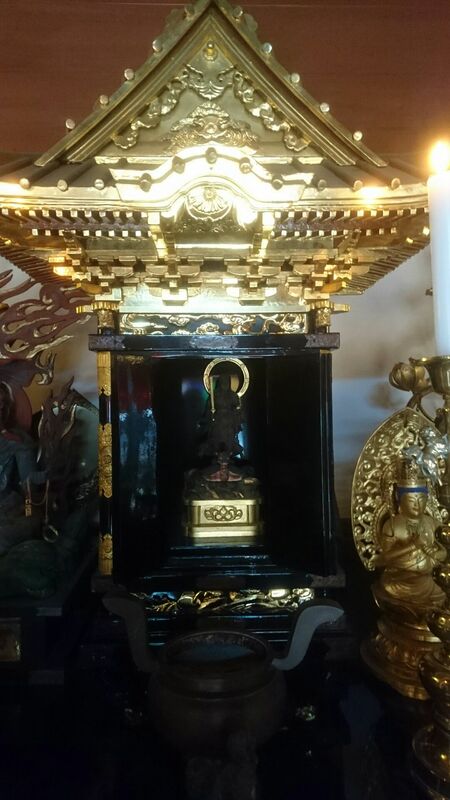 When a cure was in fact achieved, it became common to pray to this deity when one suffers from eye trouble ( and interstingly since the name Myoken could also be taken to mean -LOOK DIVINE, as in beautiful, many show business people have been devotees over the years). As you can imagine, sailors would also be great devotees of these stars which helped them find their ways. 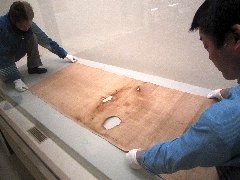 The Kurihara Chofu hemp cloth, used to pay the annual tax by the village in the 8th century, was sent to the provincial capital Fuchu (now Ishioka)) and then on to Nara (the capital of Japan at the time). 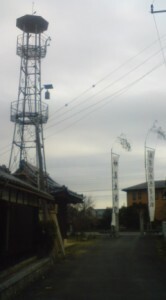 It is usually kept as the property of the Horyu-ji temple, but was recently exhibited at the Tsuchiura History Museum. During Japan`s middle ages Myoken became a popular Deity among the Samurai, as the Pole Star was believed to be crucial in determining the results of battle. 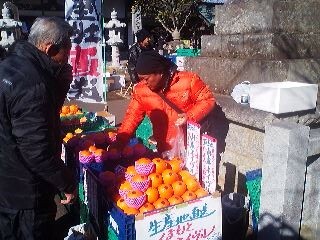 As the time passed farmers took to praying to the Pole Star for good harvests and merchants for success in business. 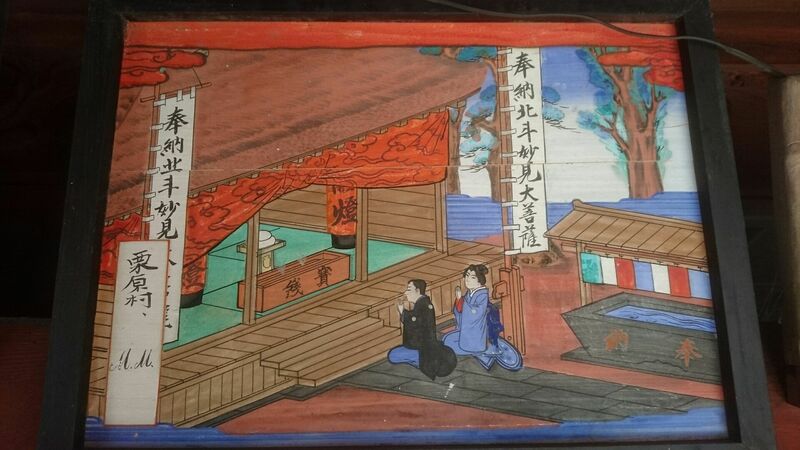 Of great importance is also the fact that the priest Nichiren, the founder of the Nichiren Sect of Buddhism, believed that he had been helped from trouble after praying to Myoken. Because of this Myoken devotion was taken up with enthusiasm by members of that sect and to this day, at Nichiren Temples, you will more than likely find a Myoken Hall within their precincts. The subject of Myoken, however, is extremely complex, and it is not my intention here to give you any more than this brief ( and inadequate) explanation of the deity ( which after the Meiji Period`s forced separation of Buddhism and Shintoism was enshrined in Shinto Shrines as the God Ame no Minakanushi no Mikoto 天御中主尊）. 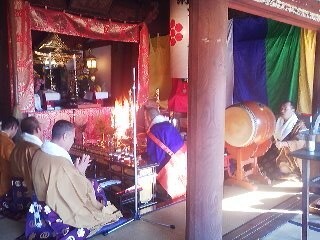 I would like instead to go onto a grief intoduction to Tsukuba`s Hokuto-Ji Temple and its Hoshi Matsuri. 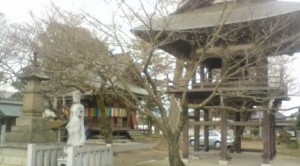 According to extant documents, the Hokuto-Ji Temple was founded in the year 810 by the priest Saisen (最仙) for the purpose of praying for the peace and prosperity of the nation through the pole star and the big dipper. 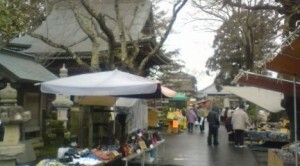 Like with many other older temples, however, the history of Hokuto-Ji is quite complex, having moved location ( within the same general area) several times for various reasons, before returning to the hamlet of Kurihara and its ORIGINAL location in 1659. Some might be (very) surprised to hear that at that time, during the Edo Period ( 1600-1868), Kurihara, which sits by the Sakura River, and has good soil and water for rice production, was partly TENRYO (天領), that is, under direct control of the Shogun, and was ruled through the trusted Hatamoto Family- The Hori. One of the last of the Horis to rule Kurihara, played an important role in negotations with European powers just before the Meiji Restoration ( this will be the subject of a future post) but committed ritual suicide (seppuku) when he was told that his idea of a bilateral treaty with Prussia was not what the Shogunate wanted. 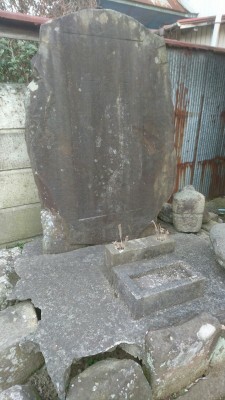 A stone monument along the main road through Kurihara memorializing the Hori Family, rulers of Kurihara through most of the Edo Period (while they themselves lived in Edo. The last of the Hori`s committed ritual suicide (seppuku) after his plan to build an alliance with Prussia was rejected by the Shogunate. 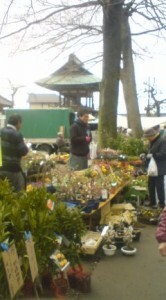 The temple hold two major annual events a year, each based on the lunar calendar ( they usually occur sometime in February and August ), and as I have mentioned before, besides all the Kurihara locals showing up for these events and other Tsukubans, some devotees of Myoken, make the journey to Tsukuba from much farther afield. 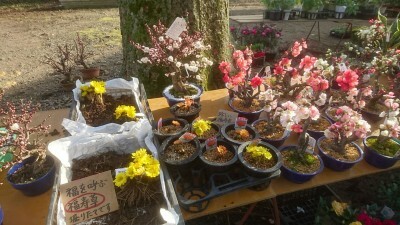 Especially for the Hoshi Matsuri. Let me tell you about the event as I experienced it last year. 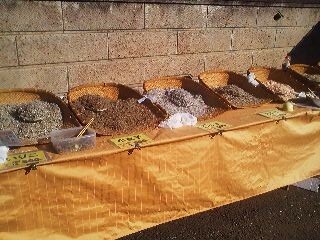 To tell the truth, since I lived so near at the time ( only about 5 minutes by car). 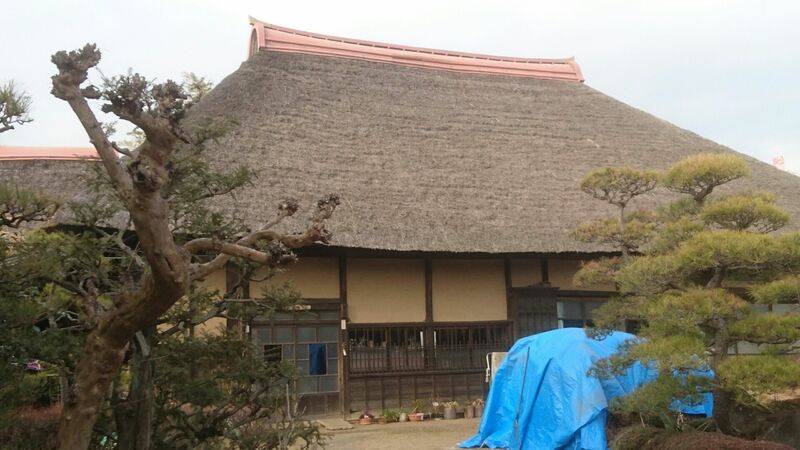 I went to the temple several times to check on the progress of the preparations which were being made, consisting mostly of cleaning the Myogen Hall and preparing the ritual instruments to be used for the next day`s ceremonies. 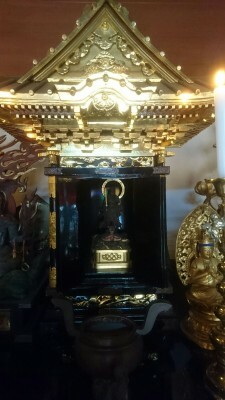 This e-ma votive picture hangs in the Myoken Hall at Hokuto-ji. 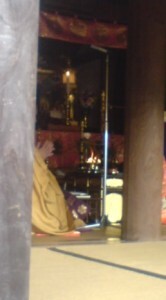 Perhaps it was offered to the temple as a prayer for conceiving a child. On February 10th and 11th Come Away From Mt. 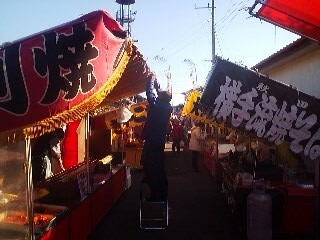 Tsukuba Shrine’s Toshikoshi-Sai Festival With Plenty Of Booty! I might be a believer in Myoken-Bosatsu ( the Principal Deity of the Hokutoji temple) since I chose a University in Hokkaido because I longed to live in Hokkaido and wanted to go North to look at Northern landscapes and watch the North pole star also Hokuto-7-sei( the Big Dipper).Now I know about a very interesting temple in Tsukuba, Hokutoji in Kurihara, I`ve never been around there. Thanks Avi-san. The famous Ukiyoe-painter Katsushika Hokusai(many printings of Mt Fuji as viewed from many places) was known as a believer in Myouken-Bosatsu. In his official-name he used KITA(北：north), and there was very famous sword school called the Hokushin-Ittoryu(北辰一刀流： The Big-Dipper School, which Chiba Shusaku founded and Sakamoto Ryoma trained at),the name came because Mr. Chiba who was a believer in Myoken-Bosatsu. The Big Dipper and the Noth star, when I look up at them, I always feel some kind of solemnity regarding the universe. Tenryo(天領：direct dominion of the Tokugawa-Shogunate) is also an interesting subject to study.Under the Tokugawa-Shogunate`s ruling system, Sado(Sado island: famous gold mine),Iwami(in Shimane prefecture now: famous silver mine=once effect world economy in 18-19century) were Tenryos (Tokugawa took from local big lords).Why was Kurihara Tenryo?